It has been an incredibly stressful few weeks for the team here at Arrogant Pixel. I think that as a group I can say, it has been a really tense experience waiting for the Steam Greenlight to come through. Luckily though, after only 18 days, we woke up to the best news ever! Last Thursday was the day that we got accepted on Steam! We found that the first few days of Steam were really important in driving traffic to the page. There were a few articles online suggesting that there is a real drop in voting activity after the first 24 hours. This was absolutely true for us. This meant that after the initial launch of the campaign, we really needed to continue promotion on the game and whip as many votes as possible. We concentrated most of our efforts on Twitter, Instagram and IndieDB to drum up as many clicks to the page as we could. As I said before, it was a stressful and tense couple of weeks since we had no idea when the campaign was going to go through. We turned our attention to the app releases while we waited. During that time, we began submitting builds to iOS and Android app stores for approvals since we were aware this could also take some time. We were offered some group promotion opportunities on Steam which we turned down and opted to take on all the marketing for the game ourselves. I’m sure that this route has helped other Indie developers to get through the process very quickly but since we are also launching on app stores, it was not a viable option for us. We don’t believe that we would have been Greenlit any sooner if we had taken any group promotion offers. I imagine that we may have been tempted if we hadn’t already been preparing for this for a while. They offer a lot of page views and the possibility of getting Greenlit sooner but clearly, this is not guaranteed at all and we would have to give up over 1000 free copies of the game or pay them on top. If we had taken the group promotion offers, we felt that we would not get a realistic idea of how many of the voters would actually purchase the game. Not a good deal when everyone in your company is relying on the game to make some money in order to continue to do this! By not going for this route, we had a good idea of the interest and built a strong following behind the game. We ended up with a great take-up rate for voters and overwhelmingly positive feedback! We were sitting at 69% of the way to the top 100 and before we knew it, it had happened – we had been accepted! 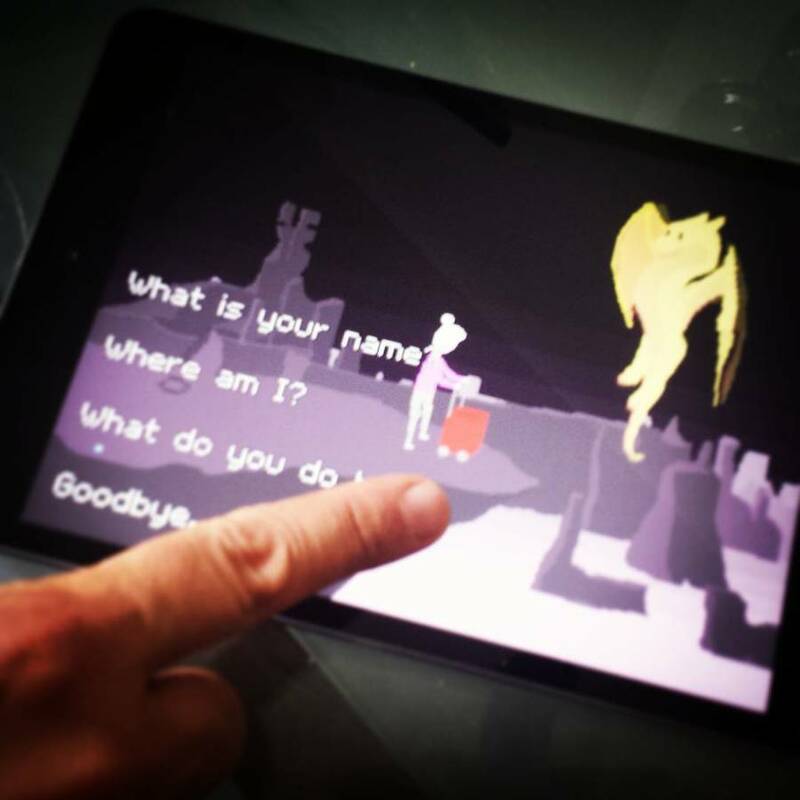 It is important to me and the rest of the company that “The Tale of Doris and the Dragon – Episode 1” is appreciated for the quality of the writing and the work rather relying on flashy graphics and addictive clicker mechanics to sell it. 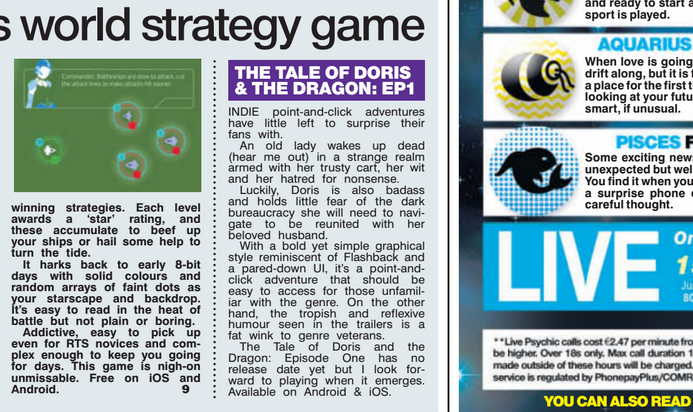 Doris isn’t a typical indie game release. That’s all for now. We’ll be posting more about our voice over process with Ryan, our audio guy hopefully this week. Thank you everyone for all your support so far. It really means so much to us and we are excited to finally get this game out there! Don’t forget to follow us on Instagram, Twitter and Facebook where we post almost daily!